Many climate change impacts require a policy response that balances mitigation with adaptation. Mitigation, by reducing global greenhouse gas emissions to achieve a zero-carbon economy, can drastically reduce some of the worst effects of climate change. However, we are already committed to certain climate change impacts, and these will require humanity to adapt. Sea level rise is a prime example. 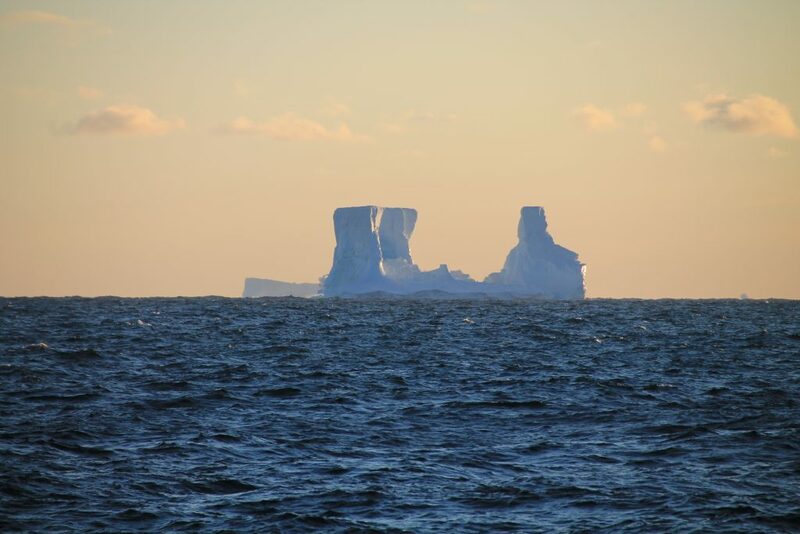 Global sea level has already risen 20cm since 1900, and the rate of sea level rise is increasing. We know this trend will continue throughout the 21st century and beyond, but the question is, how much will sea level rise, and how fast? Projections of global sea level rise by 2100 range from a further 30cm, assuming drastic mitigation action, to 1m or more in “business-as-usual” scenarios with increasing carbon emissions. Cutting carbon emissions can hugely reduce the number of people at risk of displacement by sea level rise globally, from up to 760 million in a scenario with 4°C of warming, down to 130 million if warming is limited to 2°C in line with the Paris Agreement. Mitigation is therefore essential if we want to avoid the worst effects, but adaptation is also necessary to ensure humanity is resilient to sea level rise that is already locked in. The South Pacific is home to some of the world’s states most vulnerable to climate change impacts. Sea-level rise threatens coastal erosion, the widespread displacement of people and the inundation of the lowest-lying islands in Tuvalu, Kiribati and the Marshall Islands, while oceanic warming and acidification threaten the livelihoods of many remote coastal communities. More intense tropical cyclones, Cyclone Pam in 2015 and Winston in 2016, have recently resulted in tragic losses of life and damages in excess of $449 million and $470 million respectively. 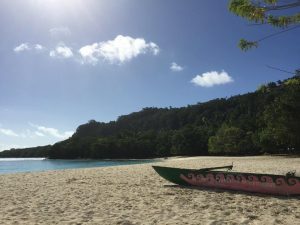 The devastation facing Small Island Developing States in the region, when juxtaposed with their negligible contribution to global greenhouse gas emissions which is estimated at just 0.03%, serves to illustrate the need for the international community to urgently step up efforts to provide support. Enhanced financial assistance for adaptation is essential, however this must be accompanied by strengthened legal protection for communities, readily accessible compensation for loss and damage, capacity building and a strengthened role for civil society organisations giving voice to community needs and traditional knowledge in policy-making processes. By Alexander Vasenin (Own work) [CC BY-SA 3.0], via Wikimedia Commons. Common lionfish (Pterois miles) at Shaab El Erg reef in the Egyptian Red Sea. 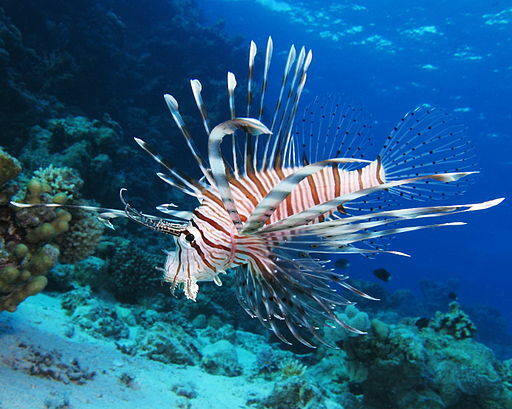 The Lion Fish is an example of an aggressive invasive fish in the Caribbean Sea, and has had an impact over native species, ecosystems and local economies. Biodiversity in water environments can be adversely affected by invasive fish species, which originate from different sources, including marine ballast, fisheries improvements, and aquaculture. Invasive fish species can cause environmental concerns such as changes in the nutrients cycle, transmission of diseases, competence for resources, displacement and extinction of native species. Success in the establishment of invasive species depends on propagule size, physiology of the proper species, and current biotic and abiotic factors in the invaded system. Invasive species represent a global issue, and when combined with climate change their effects can be sharpened. Some limiting abiotic factors are expected to change as the climate changes, favouring new invasions and the spread of established invasive species to new ranges. Milder winters in northern latitude lakes, worldwide flooding and salinization of coastal freshwater systems will provide suitable thermal conditions, new pathways for escape and dispersion, and the increase in dominance by invasive fish species adapted to brackish water systems. Deficient planning for future responses in water management can also result in favourable conditions for dispersion of undesirable aquatic organisms. For example, this is the case with the Nile tilapia, an invasive species in tropical ecosystems of southern Mexico and Tanzania, where flooding causes its dispersion but alternative management policies could improve the situation. More information see the Invasive Species Specialists Group. Against the backdrop of climate change, which will exacerbate the impact of human activities on natural resources, today’s environmental challenges require above all a strong and consistent commitment by national governments to better implement ambitious environmental policies that they previously adopted. However, traditional decision making approaches often are not equipped to ensure that precious resources are protected, if not enhanced. Sustainable management of natural resources is without doubt complex and creates conflicts between users that compete for access. For instance, there still seems to be too great a divide between the environmental and the business sector and these policy domains are as yet not fully integrated. Nonetheless, there are good examples of governments (and sub-national governments) that were successful in getting all key policy sectors on board when implementing difficult and ambitious environmental policies. For instance, the Scottish Government’s approach in implementing the Water Framework Directive demonstrates that with a strong political commitment, coupled with very proactive efforts in balancing the decision making towards more inclusive and cooperative policy processes, and with an intense and systematic use of evidence to back up policy proposals, it is possible to build trust between sectors and to act upon the barriers to implementation. It’s clear that each of these challenges requires imminent action, but what are the right approaches, actors, and requirements to make meaningful progress? Whether you’re a member of the public, a policy maker, or someone working in the field, we invite you to join us at the Environments without Borders event on Wednesday 10 May for a lively and provocative debate about the challenges we face and how, collectively, we can spur action for change. This entry was posted in Environment, energy and climate, Research, Uncategorized and tagged acidification, adaptation, climate, climate action, climate change, coastal erosion, environment, greenhouse gas emissions, Invasive fish species, mitigation, Research Without Borders, sea levels, Sustainable Resource Management by policybristol. Bookmark the permalink.